The major conservation of Oakham Castle is now well underway. As part of the latest phase of the development, specialist contractors are now on site as work to restore the 150 year old slate roof of the No1 Court begins. 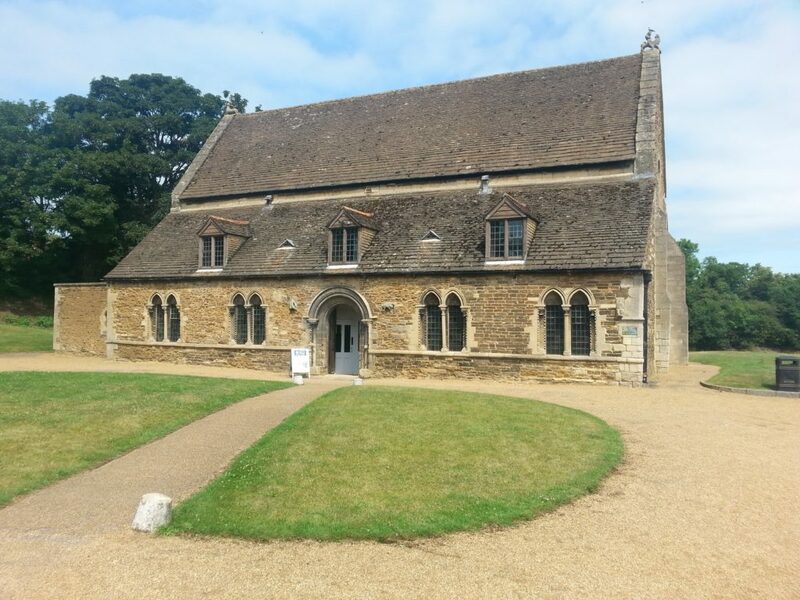 The restoration project, which is being carried out by conservation specialists Woodhead Heritage on behalf of Rutland County Council, includes the complete renovation of the Collyweston stone slate roof. Collyweston is a traditional limestone roofing material which is notoriously difficult to work with, so the Woodhead team have enlisted the help of local specialists, Claude N Smith Ltd.
Nigel Smith, Managing Director at Claude N Smith Ltd, is the second generation to run the business, having taken over from his father who started the business in 1965, he said: “Collyweston slate is a unique product, historically quarried in Collyweston, Northamptonshire. The mined stone was left outside for three years until the frost revealed layers that could be divided into flat slates. It’s found in historic villages, churches and stately homes in England and has a very distinctive natural pastel colour when new. Extraction of the limestone stopped in the early 1970s as it was no longer commercially viable. This saw a reduction in the number of companies competing to work with it. It also means that the only source of the product now is reclaimed from buildings that are neither listed or in conservation areas. Collyweston stone slate can last for hundreds of years and is capable of almost continuous re-use, however nails and lime mortar beds can degenerate over time meaning that re-slating takes place between one and two hundred years. Nigel continued: “It’s incredibly rewarding to be able to work on listed properties and Oakham Castle is no exception. For me it’s very much about preserving the traditional skills, over the years we have become specialists in working with Collyweston and every project we work on now is a listed building. Oakham Castle is due to reopen to the public in summer 2016, with both the Great Hall and castle grounds undergoing extensive restoration to reinterpret the site’s historical significance. As well as preserving and revealing the ancient defensive wall, new installations and exhibitions will help to tell the story behind the Oakham Castle, while there will also be a new Medieval Garden planted with Oakham in Bloom and improved access to all facilities.